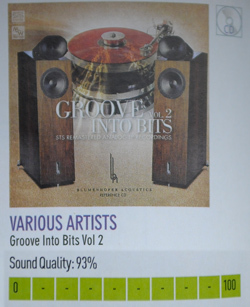 Onno Kiviet pubblished on his puresound.be webpage the review of Groove into Bits Vol. 2. Here You can read it in Dutch. 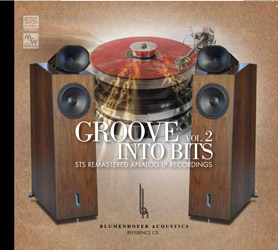 On the first day of the Munich High End Fritz de With of STS Digital presented us the Groove into Bits CD Vol. 2. The CD presents good pieces of music. In the first issue there has been an error on the cover that will be corrected in the reissues of the CD. One song, the one of Bob Dylan, due to rights problems, did not manage to get into the final release of the CD, but it is still in our hearts. Maybe we will be able to add it in the next Groove into Bits. This is not a really Blumenhofer Event, is something that Blumenhofer supported. The Church Santa Maria Assunta in Bibione received a new organ from one beloved member of his community, Rino Benedett. 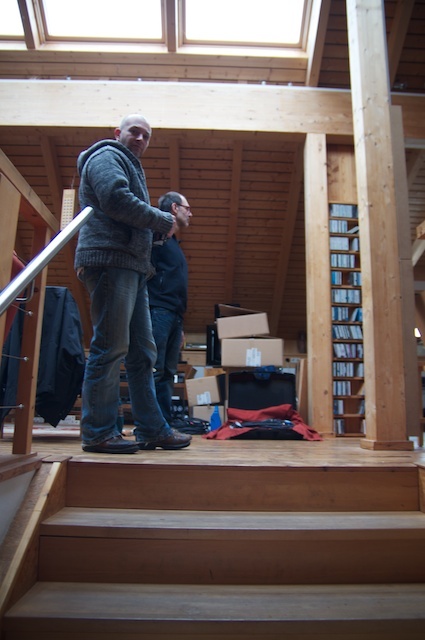 Then we discovered that Fritz de With from STS-Digital has a spleen for organ music and loves to record organs. Agreements were made and quite fast the decision was taken. 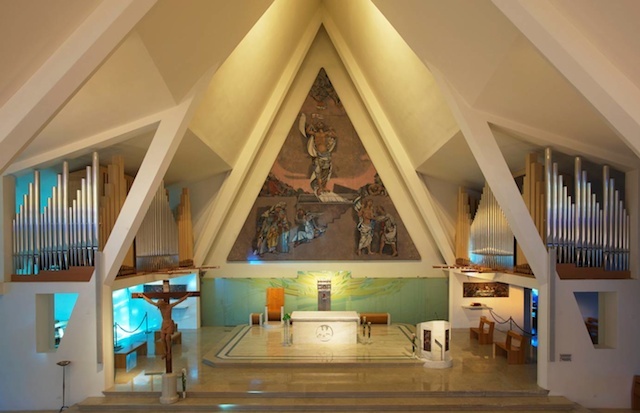 With the support of the community in Bibione the Church has been able to finance the production of the CD of the inaugural concert of the organ. The CD is only for internal use of the Church and for the local community. You can contact Don Andrea Vena here if You wish to have more information about it. Under magistral conduction of Maestro Daniel Roth from Saint Sulpice in Paris, the result and the sound were really moving. 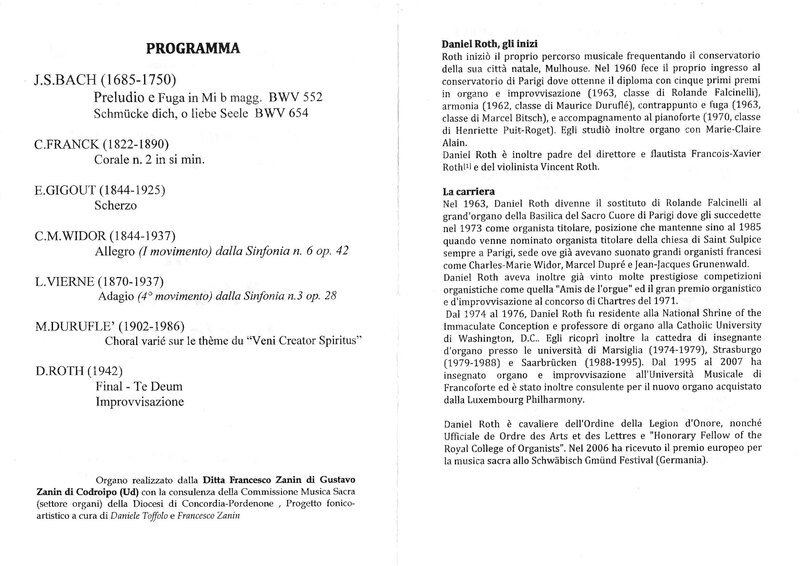 This concert was the opening concert for the Summer organ concert season in Bibione. The Organ comes from the Francesco Zanin company of Codroipo. The site is still in construction but You can reach them here. To perform the recording Fritz de With used a 4 microphone setup, placing 2 microphones in front of the altar directed to the two wings of the organ plus 2 more microphones about 10 meters behind to be able to generate the ambience of the church and eliminate some of the unavoidable disturbs arising during a live concert. The microphones from Shoeps were connected to a Nagra VI pro 8-channel recorder. The power supply chain of the electronic involved was from Cammino-HP. Blumenhofer's involvement? We made the whole possible and our loudspeakers will be used in the post-processing of the recorded tracks to reach the quality needed to realize the CD. After enjoying the concert in the church, we spent the whole sunday playing the tracks again and again to understand the quality and start a first remixing process to decide the relative levels of the tracks. We were astonished, I've never had the experience of listening for a concert a second time in that quality. It beamed me away into a meditative status: fantastic! I'm looking forward for hearing the CD at my place. I think there is nothing left to say. This list answers all the questions. Another great LP, another best selling product at once. 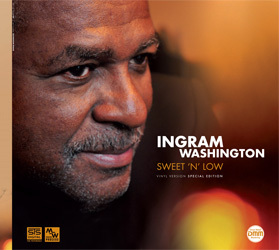 "Sweet 'n' Low" really enjoyable warm voice and sonorities. 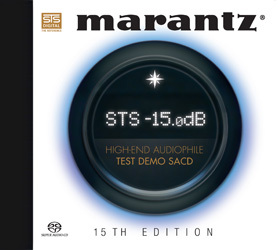 The new Marantz SACD Edition 15 has come on the market. 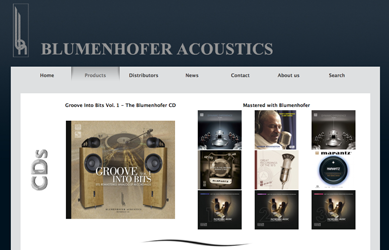 It has been mastered with Blumenhofer Acoustics Genuin FS 1 and Genuin FS 3. Take a look at it, it is worth it, and here You can purchase it online directly by STS-Digital. 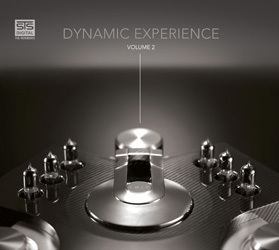 The second volume of the Dynamic Experience CD has come on the market. It is dynamic, it is astonishing good mastered. It has power and drive: a shower of dynamic. 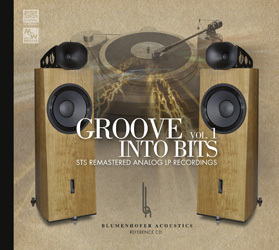 In cooperation with STS-Digital, we produced the Groove into Bits Vol. 1 CD. We already informed You about this project. It was extraordinary and it has borne by chance. We met in Walkertshofen last September and started listening for music of all kinds. Of course on LP. 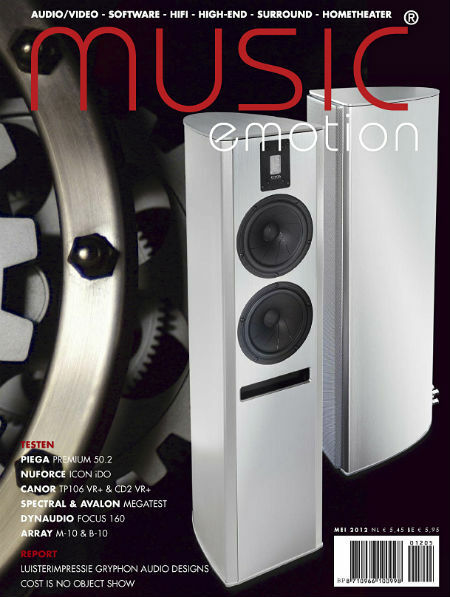 Spontaneous was the question… why don't we master it to a CD trying to keep the analog feeling of the turntable. Then, the task was set, how to perform it? Simple? 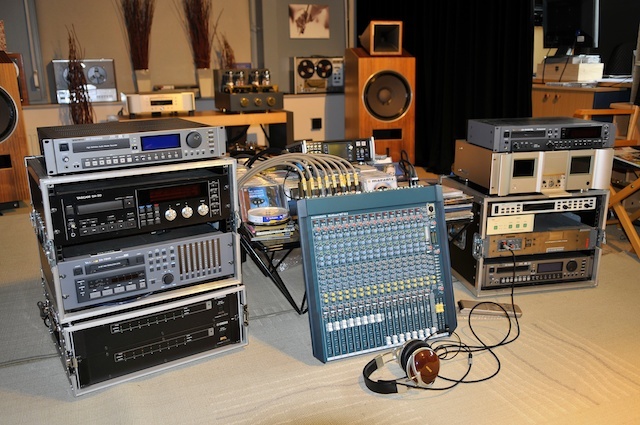 Conny Englmeier started playing DJ, Fritz connected his Marantz mastering equipment, Lars set up the Kanzy power amplifier, and Tom connected our Wiki: if we need a monitor speaker why not the best one available? Marco had a Acoustic Signature Ascona with an SME tonearm and a Soundsmith cartridge in the trunk of the car. The setup was done. The songs were chosen and we started the recording process. It took us a longer time than expected but was fun. After hours we were eating in the restaurant and René suggested to name it after the project: Grove into Bits was what we did. From LP to CD. Extraordinary. Finally we got it. 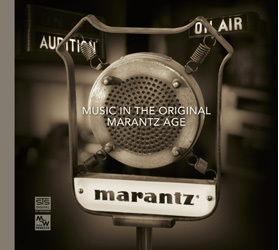 It is a limited edition CD made for Marantz to commemorate the anniversary of the company. As usual for the last STS-Digital production the mastering process has been made on a Genuin FS 1 and a Genuin FS 3.